Manila shut down as Hagupit, which means "lash" in Filipino, took aim at the tip of the main island Luzon, just south of the capital city of 12 million people. 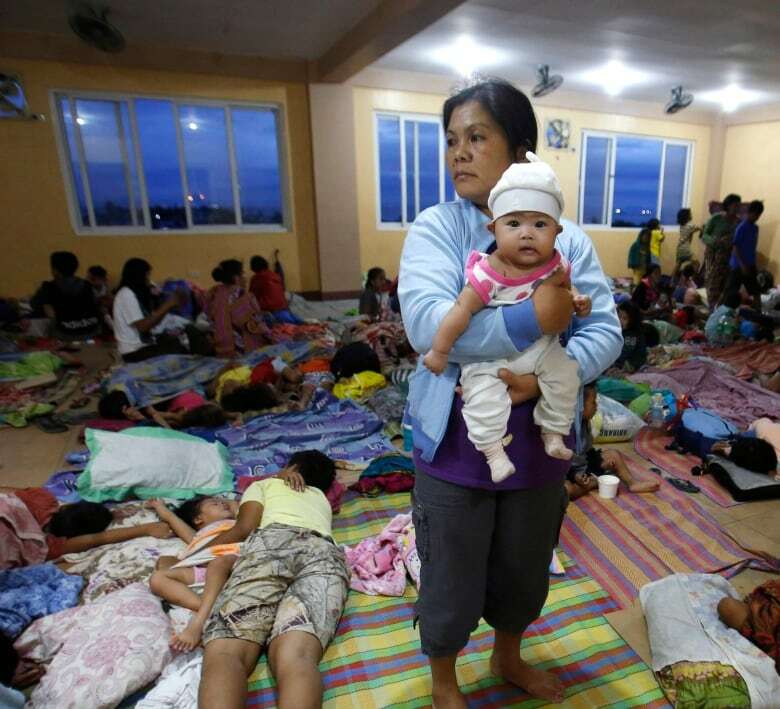 "We now have a total of 27 dead, most of them in Borongan, Eastern Samar," said Richard Gordon, chairman of the Philippine Red Cross, adding most of the dead drowned in floodwaters. He said around 2,500 houses were totally or partially destroyed in Borongan, a town of 64,000 people. But despite the rising death toll, there was relief that Hagupit had not brought destruction on the scale of super typhoon Haiyan, which last year killed thousands of people in the same areas of the central Philippines. "Our kitchen was wrecked. Around us, our neighbours' homes were flattened like folded paper," Arnalyn Bula, a 27-year-old bank employee, said from Dolores town in Eastern Samar, where Hagupit first made landfall. Howling winds had pounded the walls of her aunt's home where her family sought shelter, she said. "We saw that with preparation and being alert we prevented tragedy and harm, we took our countrymen away from harm," Interior Secretary Manuel Roxas told a televised government disaster meeting in Samar. "It is sad to hear news of deaths, but this is very low, way below what the potential was." Orla Fagan, spokeswoman and advocacy officer for Asia-Pacific at the UN Office for the Coordination of Humanitarian Affairs (OCHA) praised the authorities efforts to alert remote communities to the approaching danger. "They're on the game this time," Fagan said. 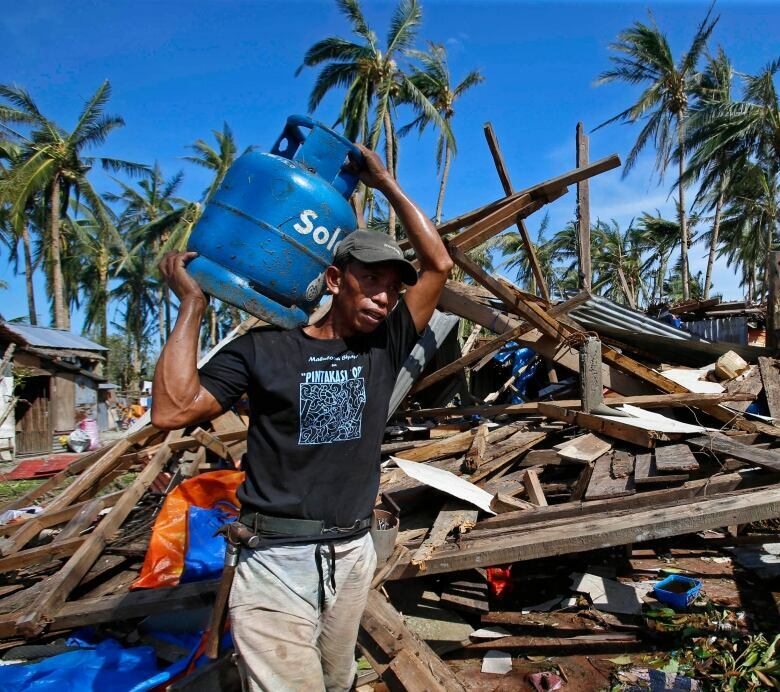 "They have taken all of the lessons from Haiyan." The Philippine weather bureau downgraded Hagupit to a tropical storm after it made three landfalls, now packing winds of 85 km/h with gusts of up to 100 km/h. It was on course to hit Batangas province, around 90 km south of Manila, on Monday evening, and would later cross Manila Bay about 50 km west of the city. Financial markets, schools and most public offices in the capital were closed and people in low-lying areas and near waterways were moved to shelters. Soldiers and emergency workers were put on standby to respond to any contingency. Despite the relief that Hagupit had not been as devastating as was feared, a major operation remained to clear debris and get supplies to people left homeless or without power. "People are now returning to their homes and cleaning up," Dolores town resident Bula said. "But water is scarce, potable drinking water. We received relief goods which included rice, but no water." UNICEF is among aid groups providing emergency relief supplies. In a statement released on Monday, the UN agency said it has water kits, hygiene kits, water pumps and other supplies ready to be distributed to affected areas. Proceso Alcala, the farm minister, said initial reports put crop and farm infrastructure damage at $22 million US. Rice crops were most affected, with little damage to corn. Alcala said the state grains agency was considering buying an additional 600,000 tonnes of rice to boost buffer stocks after damage to 48,000 tonnes of unmilled rice. Dolores Mayor Emiliana Villacarillo said almost 100 percent of ricelands in the town were submerged by floodwaters. "Our farmers will have to go back to square one and plant again. We will need new seedlings," she said.